Reporters from the Globe’s Spotlight Team this year obtained nearly 300 jail calls as they delved into research for their series, “Gladiator: Aaron Hernandez and Football Inc.,” and the accompanying podcast. 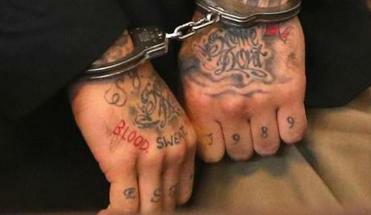 These calls were made by Hernandez during the six months when he was held at the Suffolk County Jail in Boston — calls never before made public. These conversations took place when the former New England Patriots star tight end was awaiting his first murder trial, and had not yet been convicted. Hernandez was just 24 years old, and still hopeful about the future. He was also coming off a year in a much harsher jail, in Bristol County. The calls reveal many sides of the man, some of them troubling, some amusing, some bizarre. Hernandez and the people he telephoned knew they were being recorded, and they were reminded of that at the start of every conversation. Far from his celebrity status as an NFL player, Hernandez grappled with what had become of his life and often took solace in the smallest of creature comforts. 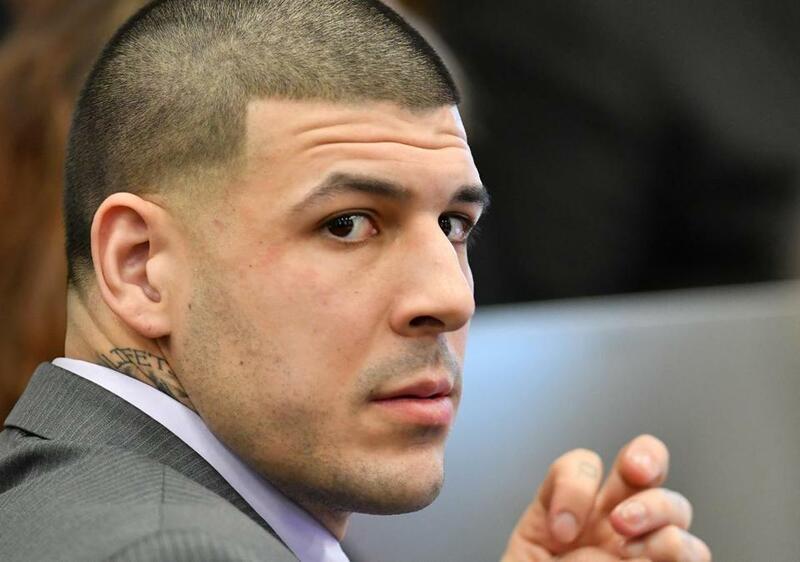 Room with a view — In this conversation with his former college football pal Mike Pouncey, Hernandez gushed about his view from his new jail cell in Boston. Duck tours —Hernandez’s fascination with the duck boats he saw outside his window grated on Jenkins, who couldn’t believe he’d never seen them before. Later, while he was in jail, his Patriots teammates would ride through the city in duck boats to celebrate a Super Bowl victory. Reading material — He asked his fiancee Shayanna Jenkins during a July 2014 call to send him an eclectic list of titles and publications, including The Boston Globe, ESPN The Magazine, Hip Hop Weekly, a book by former NFL coach Tony Dungy, and installments of the Harry Potter series. A critter scurries by — The call was abruptly interrupted when Hernandez noticed a mouse. After the initial shock, he suggested he might give it a name. Jail brew — Hernandez told Pouncey during one call about home-brewed alcohol that circulated behind bars. Patriots games in prison — During a September 2014 call with his friend Ryan McDonnell, Hernandez said that about 30 inmates were gathered around the TV rooting on the Patriots. Following his old team — Hernandez said during a November 2014 call with another friend that he thought the Patriots were poised to win the Super Bowl. Ray Rice scandal — Hernandez talked to Pouncey about the controversy swirling around then-Baltimore Ravens running back Ray Rice, whose career came to an end after video footage surfaced of him punching his then-girlfriend in an elevator. The couple later married. Hernandez’s finances — Jenkins told Hernandez during a September 2014 call that his sports agent, Brian Murphy, had checked in with her about their financial situation. Defending Shayanna — During a July 2014 call, Hernandez’s cousin, Tanya Singleton, gave a loyal defense of Jenkins for standing by him. For more on the print series, go to www.bostonglobe.com/gladiator. To subscribe to the podcast, which the Globe produced in partnership with Wondery, click here. Beth Healy and Andrew Ryan of the Globe Staff contributed to this report. Audio producer Amy Pedulla also contributed to this report. Travis Andersen can be reached at travis.andersen@globe.com. Follow him on Twitter @TAGlobe. For more on the print series or to subscribe to the podcast, go to www.bostonglobe.com/gladiator.